Find the bargains before you hit the shops! 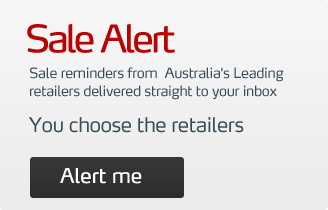 SaleFinder lists the latest retail catalogues online saving you time & money. At SaleFinder you can easily browse and search catalogues from nationwide retailers to find the products you want, search offers from different retailers and even have sale alerts emailed to you the next time your favourite retailer has a sale or new catalogue out. You'll never miss a sale again! Who's got time to search through 1000's of circulars, drive from store to store or drag the kids through the mall? SaleFinder makes your shopping experiences easier by allowing you to research online before you head in store. Most of us would agree that mailers aren't the best use of our resources. Our hope is that as SaleFinder grows and more shoppers catch onto the service, retailers will be encouraged to cut down on their distribution of printed catalogues. SaleFinder's convenient new service could mean that junk mail is soon a thing of the past, putting the special offers, sales and discounts from key nationwide retailers at your fingertips. SaleFinder is not an online shopping site but allows you to search online before you head to the shops. Some retailers that advertise with SaleFinder have online shopping available on their own website and where this is available you will find a 'buy now' link on products that can be purchased online. Click through to buy your selected products direct from the retailer. The team at SaleFinder is always keen to hear your feedback and comments. To get in touch please Contact Us or if you are a retailer find out how to Advertise with SaleFinder.